We admire activity professionals! You are the fun and quality of life in senior care! Finding the time to fulfill your CEU requirements can be a challenge and an expense. Not at CEU Academy! We make taking courses easy, enjoyable and affordable. Take our streaming video courses anywhere, on any device and at your own pace. All NCCAP Approved CEU Course are accepted in all 50 states. Certificates may be downloaded immediately upon completion and include the hours and course approval number from NCCAP. Comprehensive library of nearly 50 hours of NCCAP Approved CEU Courses. 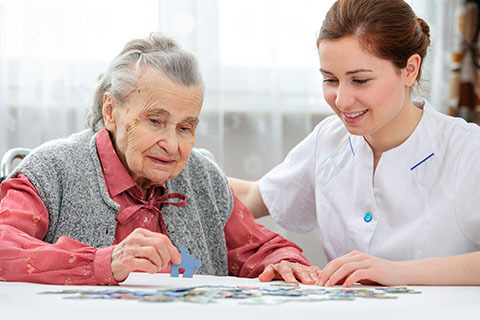 We keep up with the latest trends and compliance regulations in senior care. Take your NCCAP Certified Courses on the go with our easy, online CEUs. Complete courses at your convenience - anywhere, anytime on any device and at your own pace.